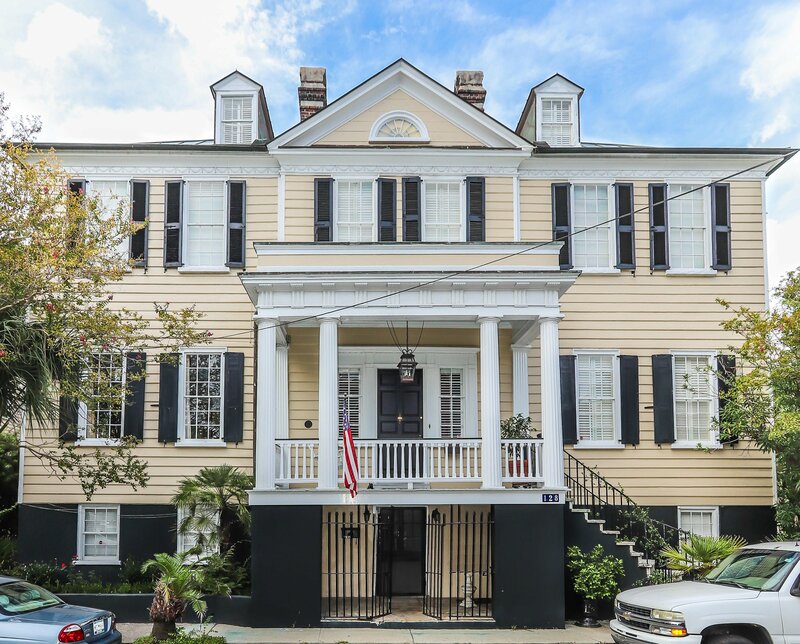 The Joseph Bennett House (Thomas Grange Simons House) is a Notable, Category 2 home, built Circa 1814 and boasting a central pedimented pavilion. 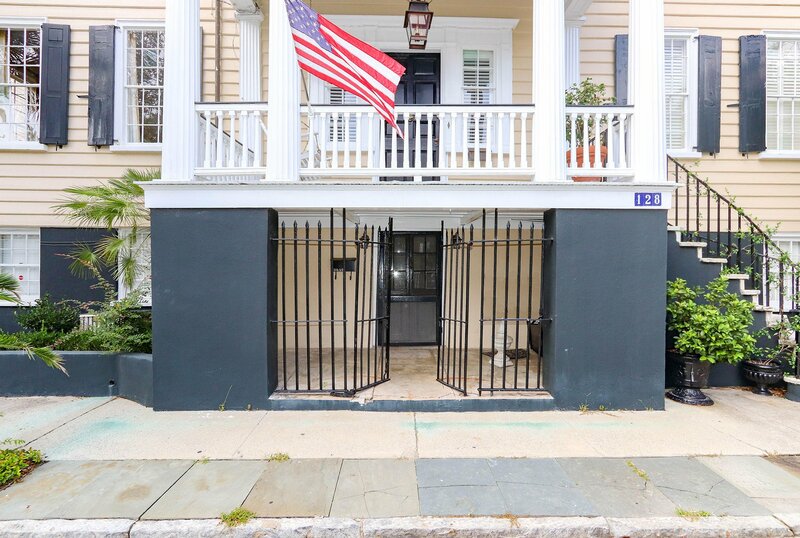 This grand Double Home is divided into two condominiums, a 2 bedroom, 1 bath condo (Unit A), located on the ground level of the home, and a 4 bedroom, 3.5 bath condominium located on the 1st through 3rd levels (Unit B). 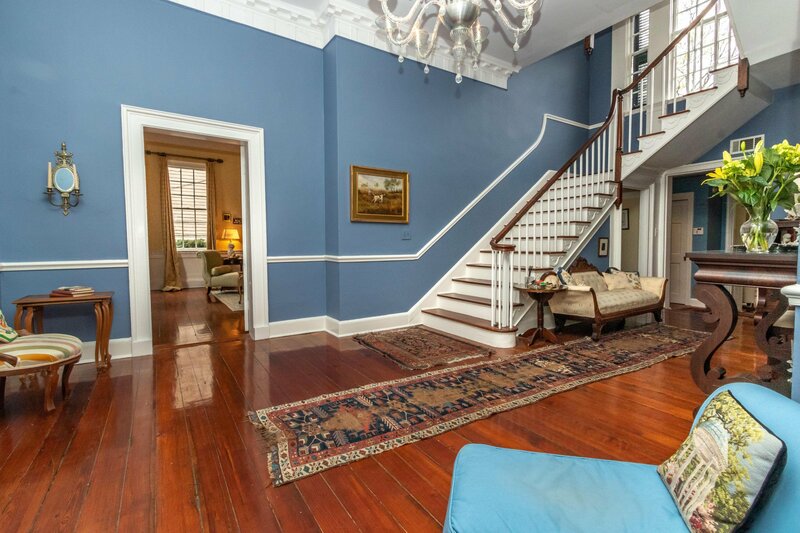 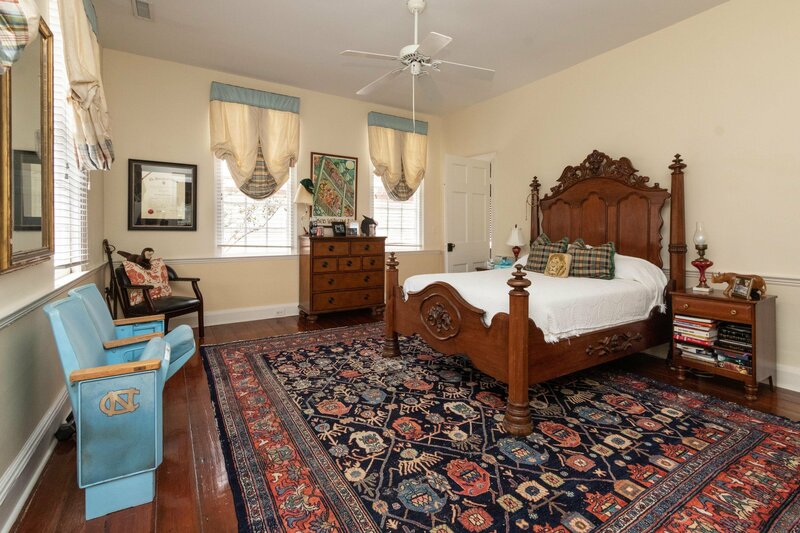 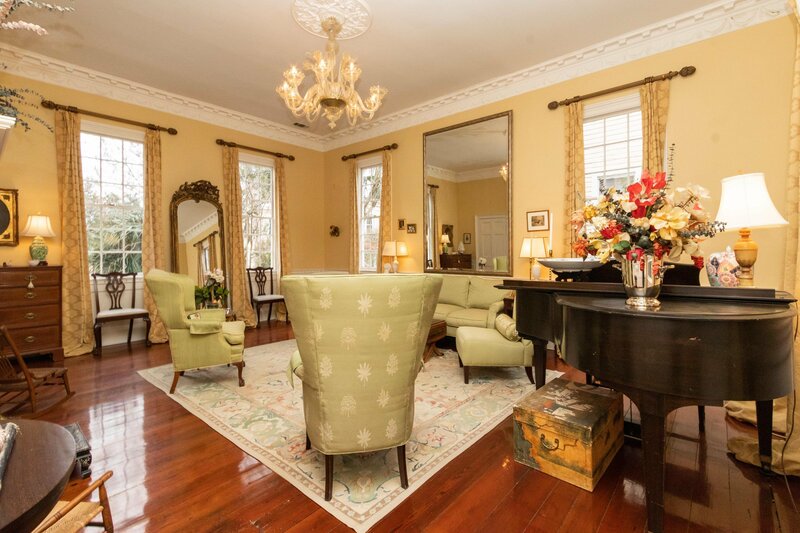 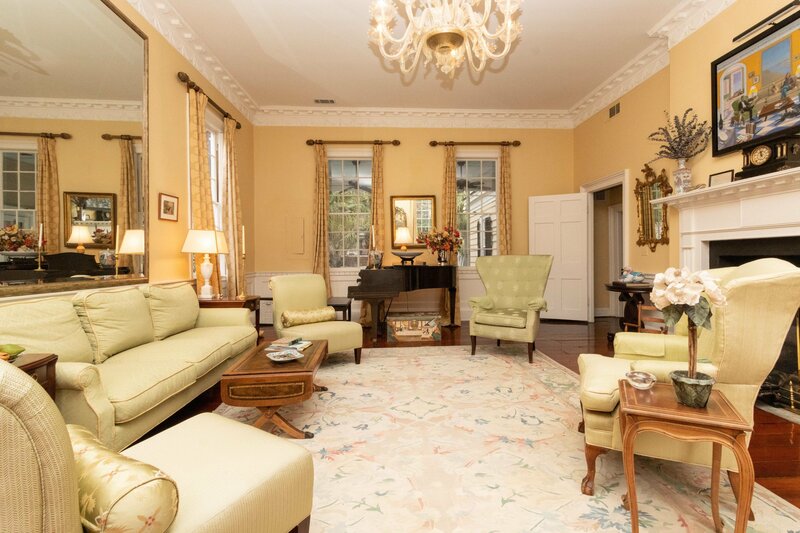 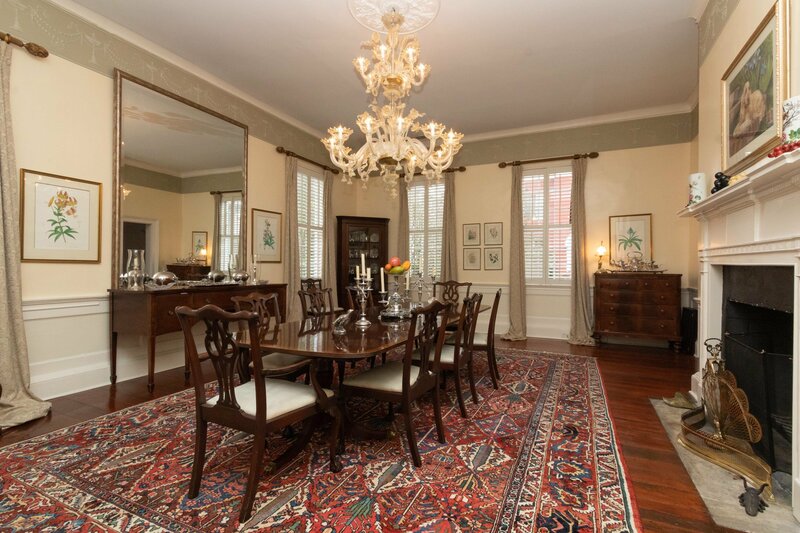 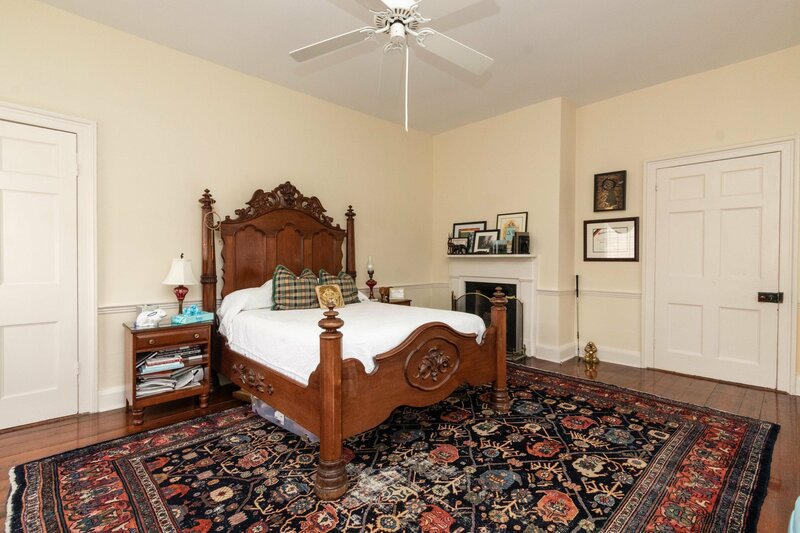 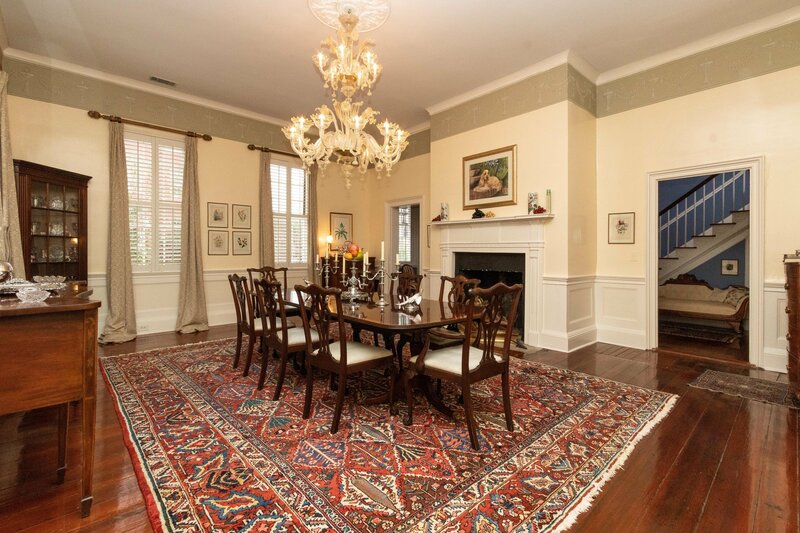 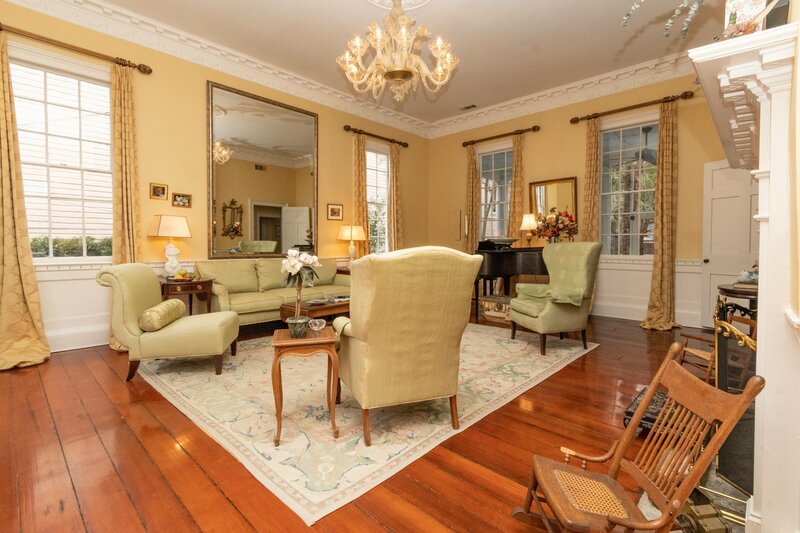 Intricate moldings, soaring ceilings, impressive symmetry, and original heart pine floors can be found throughout. 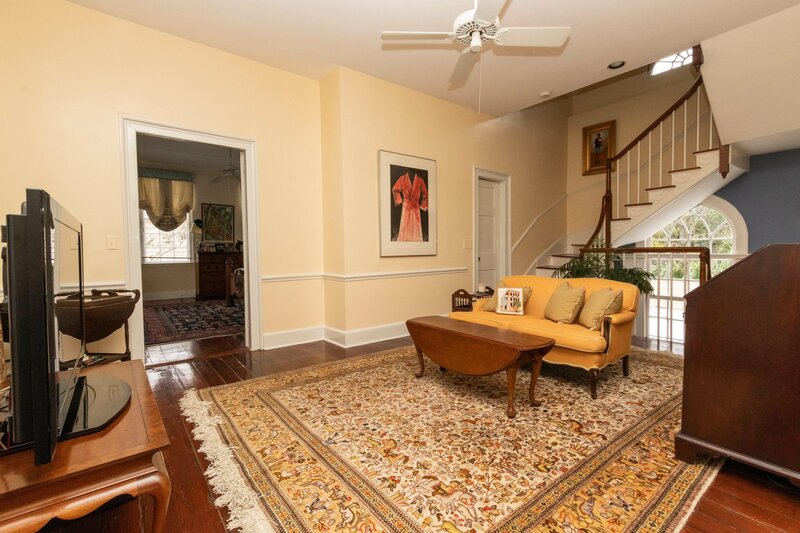 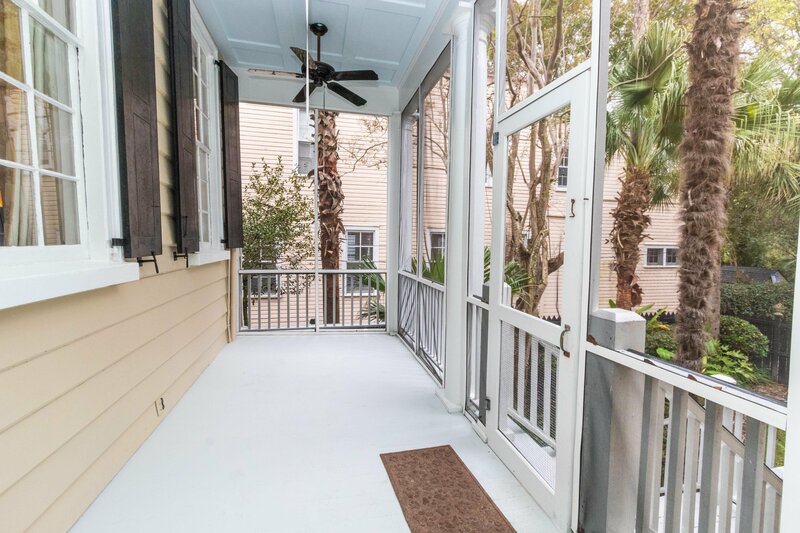 The entry to the top level condominium boasts a large foyer and central stairhall. 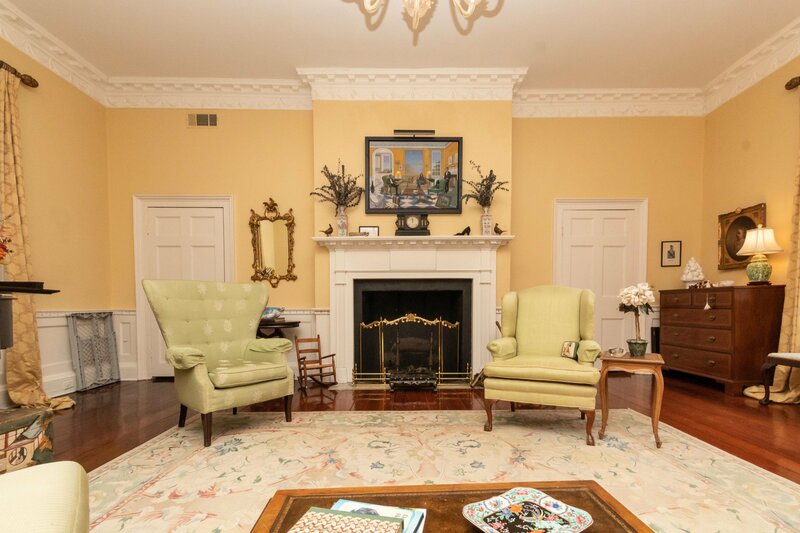 A formal Dining Room and a formal Living Room, each with wood-burning fireplace, flank the entryway on the right and left sides of the home. 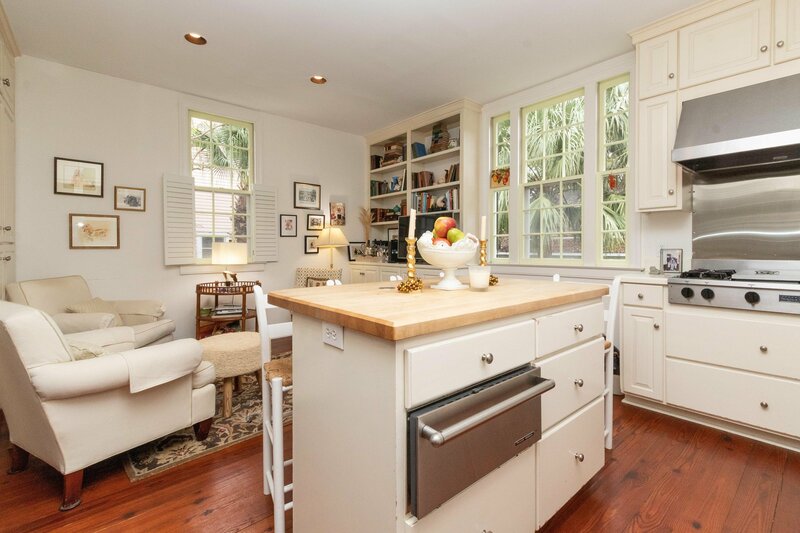 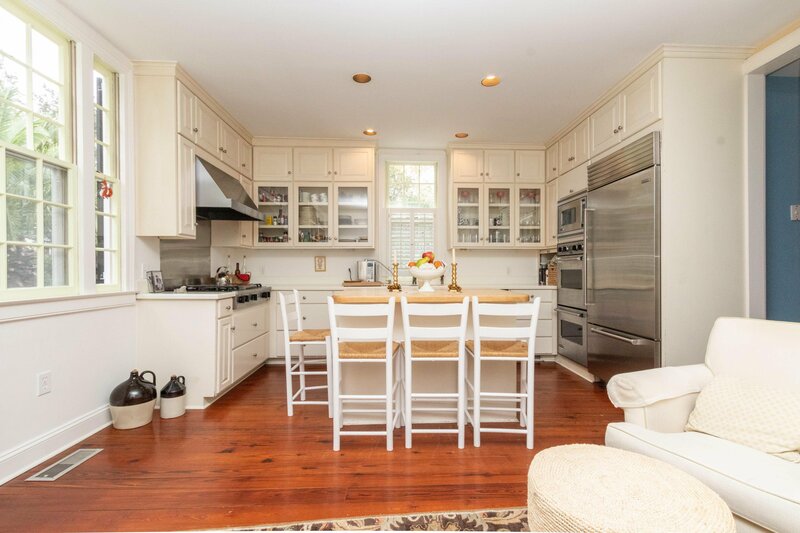 The eat-in Kitchen overlooking a cozy den, powder room and storage space is located at the rear of the home. 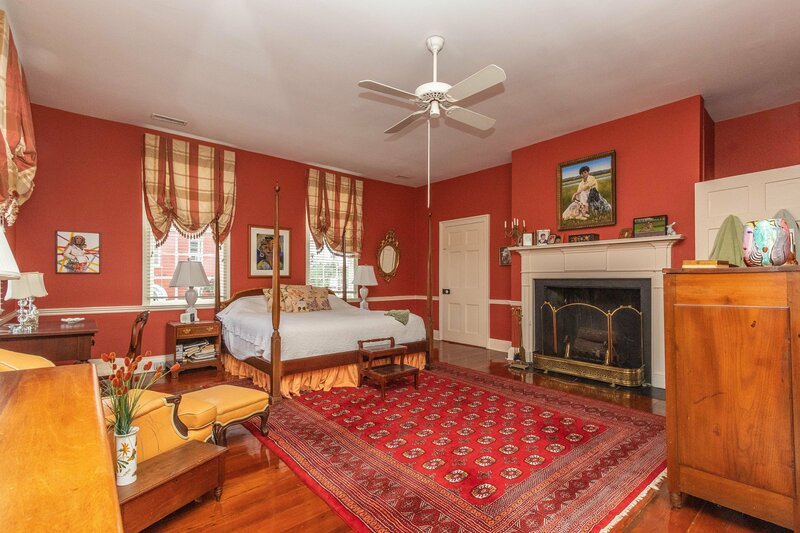 Symmetrical piazzas found on both sides of the rear of the home overlook the fenced garden. 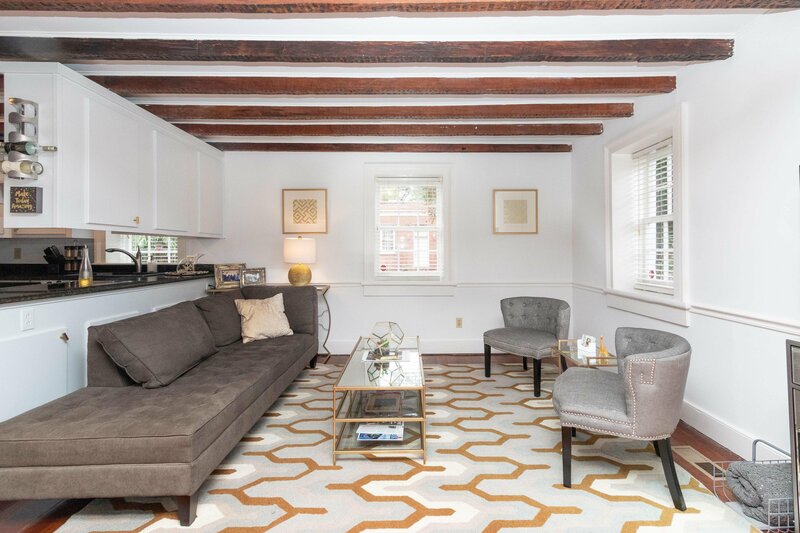 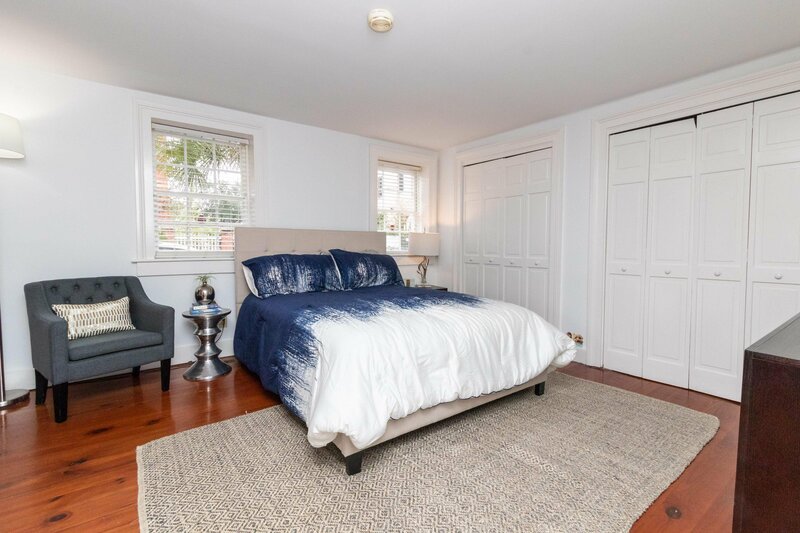 Pass a sunny roof terrace as you wind up the stairs to the second floor to find dual master suites, each with a fireplace and bathroom, and with a large sitting area between. 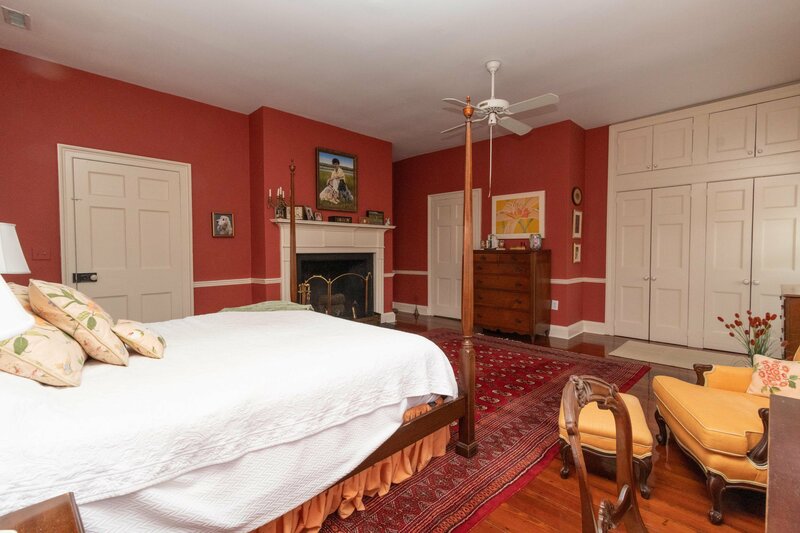 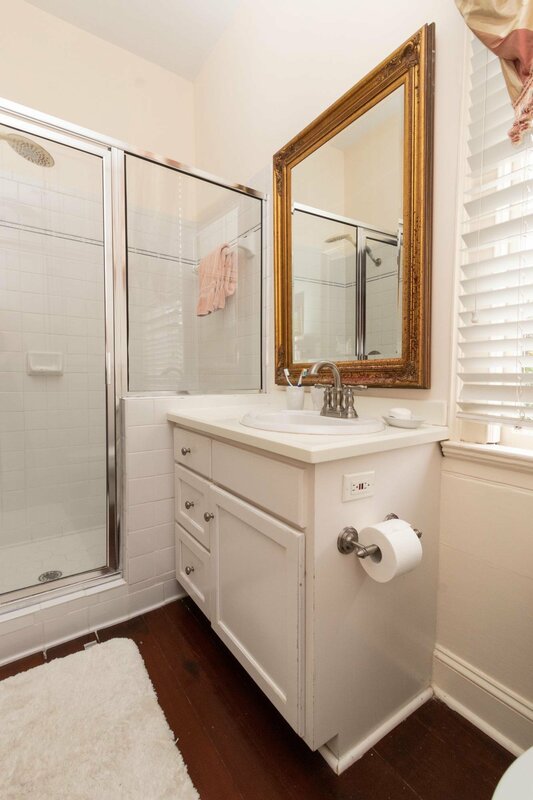 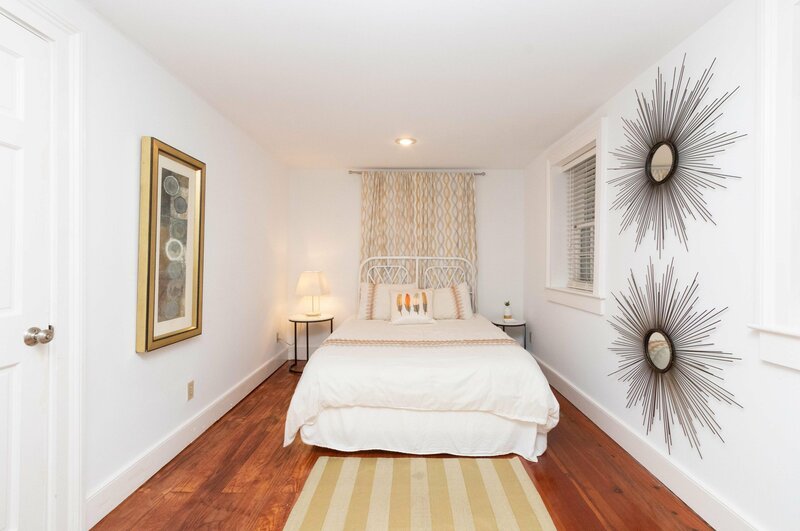 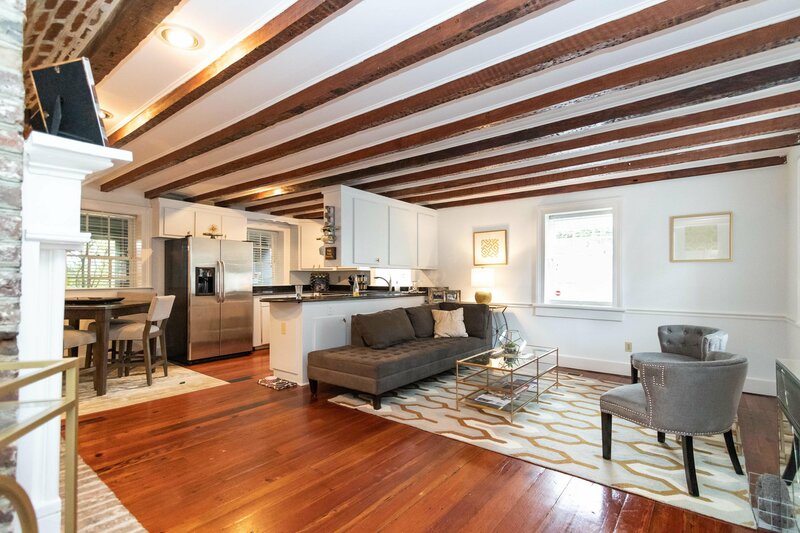 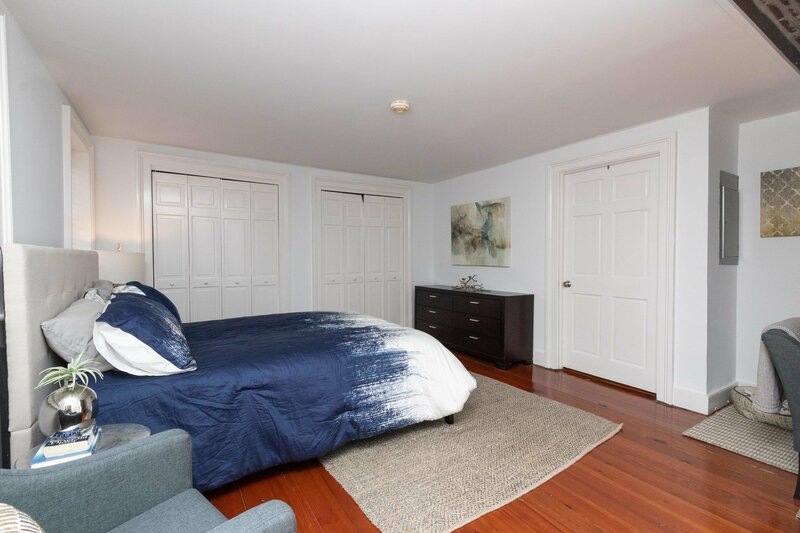 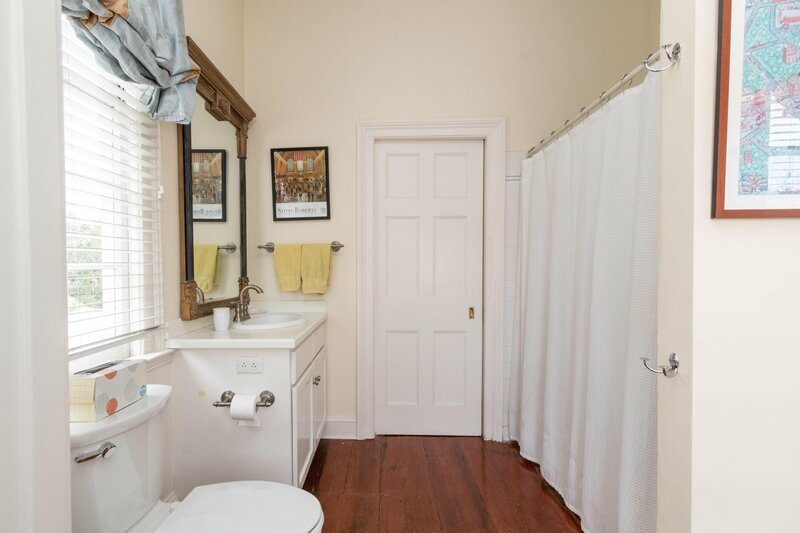 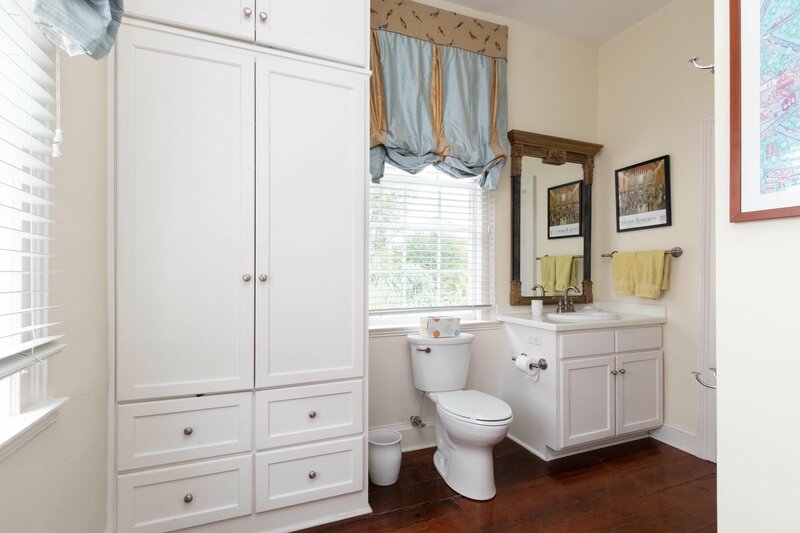 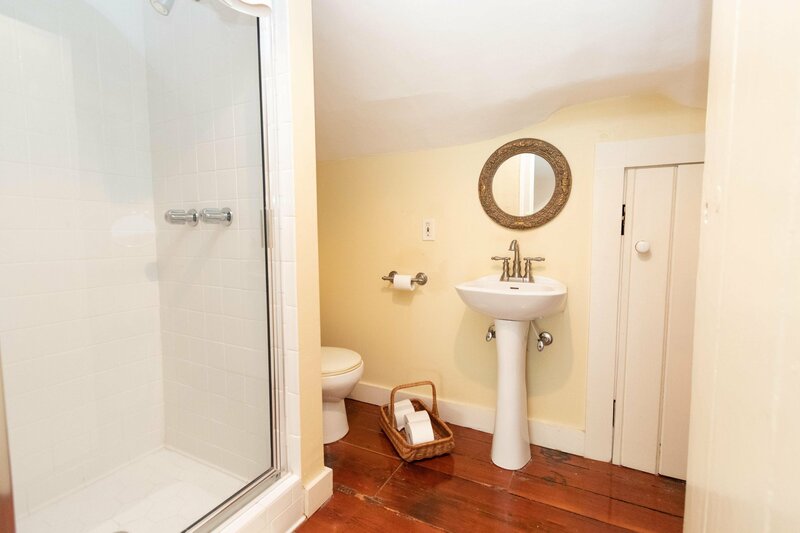 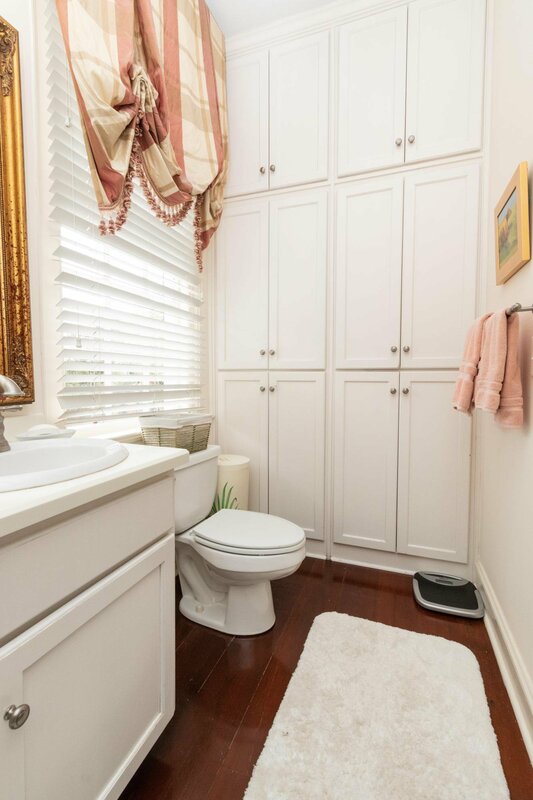 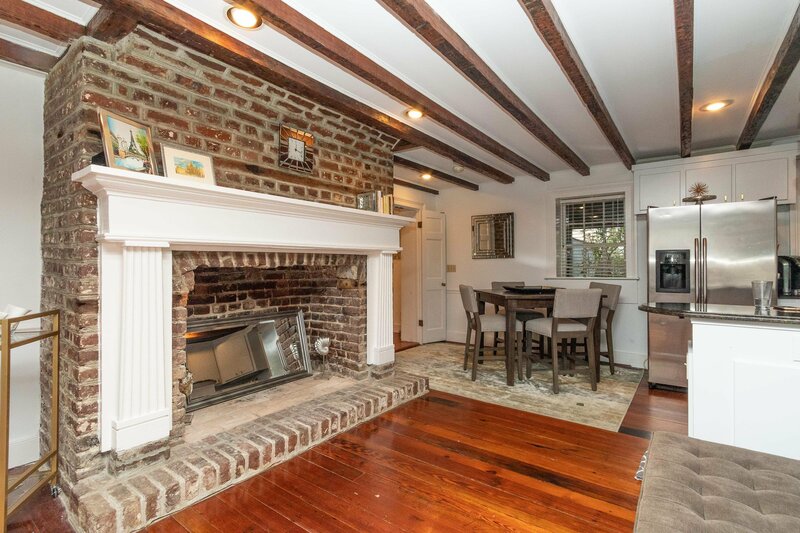 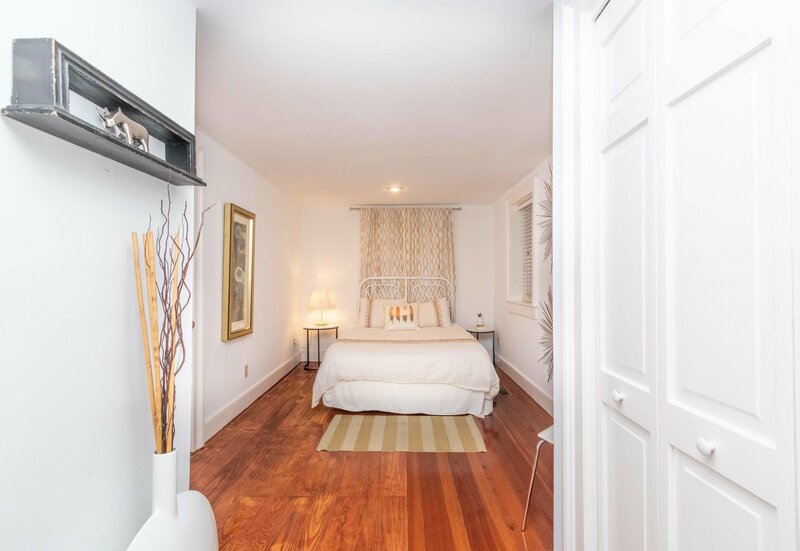 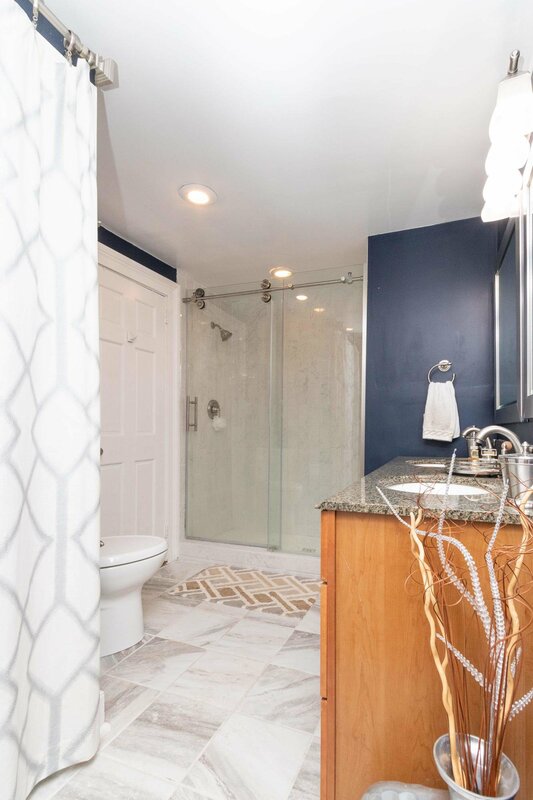 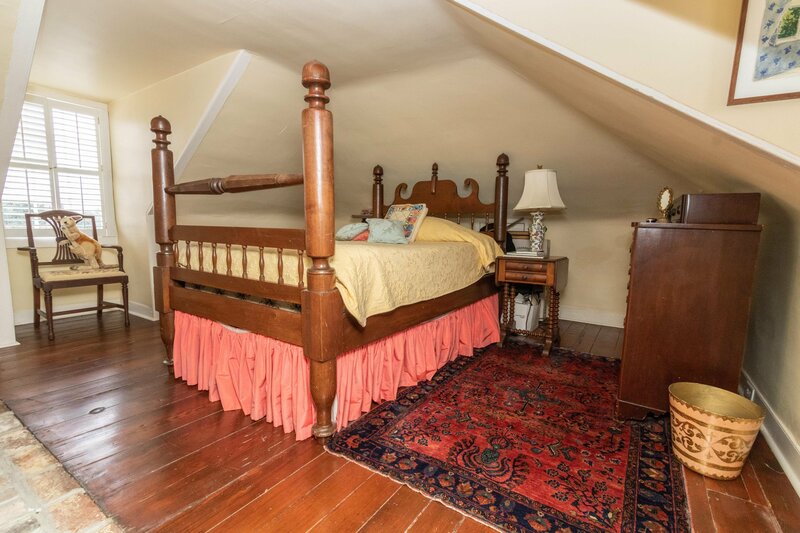 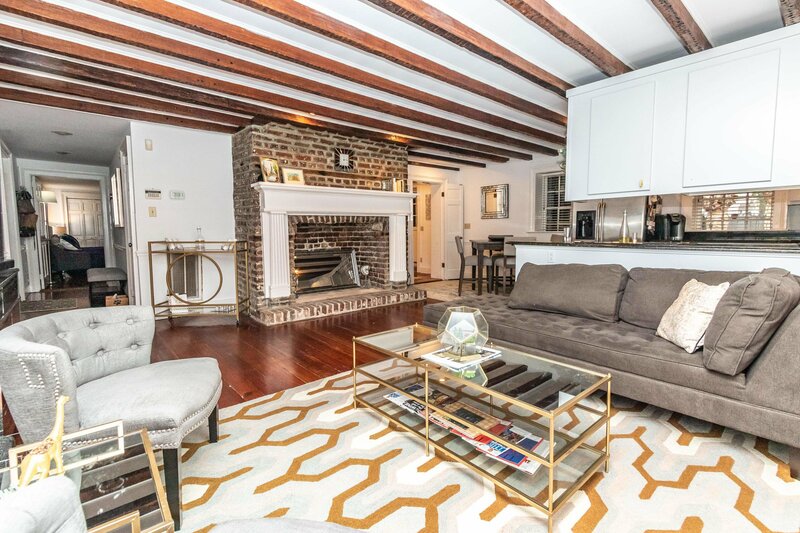 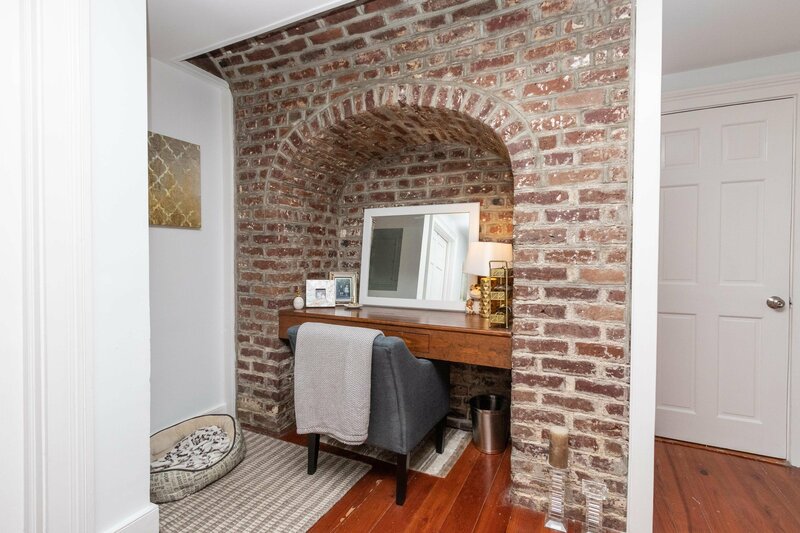 The third floor offers two additional bedrooms, one with a fireplace, and one full bath. 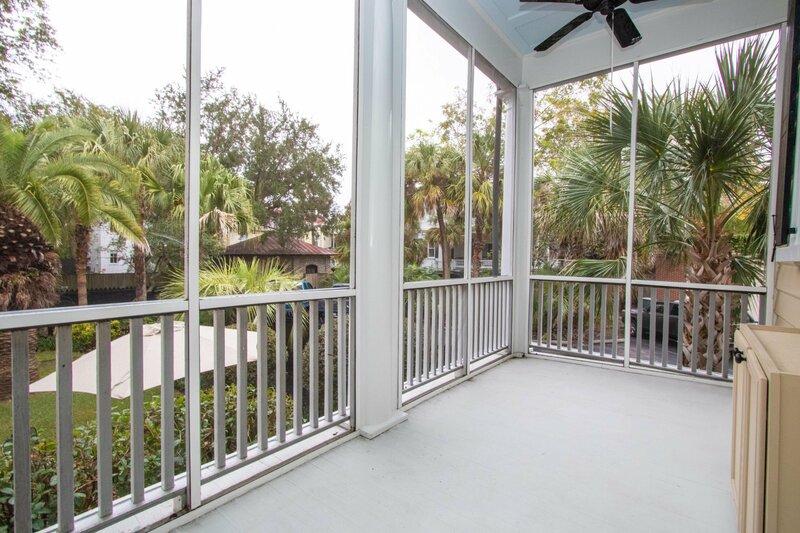 The ground level of the home is a perfect sized guest condominium or mother-in-law suite, with a modern Kitchen overlooking the open living space with old cooking fireplace.